"Fuzzy Wuzzy was a bear. So Fuzzy Wuzzy changed his name to Ed Asner". Yitzhak Edward "Ed" Asner (born November 15, 1929) is an Emmy award winner who has been acting since 1957. He's perhaps best known for his character Lou Grant who debuted in The Mary Tyler Moore Show. 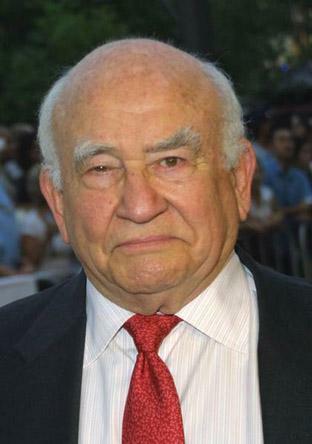 After the show's run, Asner's character would be given his own show, Lou Grant. This made him one of the few actors to play the same character on both a comedy series and a drama series (and he won Emmys in both categories, a feat that's only happened one other time since with Uzo Aduba). Asner started his voice acting career in 1981, but his roles in voice acting really took off in 1992 when he voiced Hoggish Greedly in Captain Planet and the Planeteers. He would go on from that to role to voice many beloved, if somewhat gruff characters, as well as a plethora of one-shot characters for television, movies, and video games, his most famous recent role probably being Carl Frederickson from Up. Cobra Kai: Sid, Johnny Lawrence's cruel stepfather. The Grim Adventures of Billy & Mandy: Mr. Voorhees. Johnny Bravo: Dr. Miller / Uncle Lou. King of the Hill: Stinky. Olive, the Other Reindeer: Santa Claus. Recess: Thaddeus T. Third V.
The Spectacular Spider-Man: Uncle Ben Parker. Spider-Man: The Animated Series: J. Jonah Jameson. Spiderman The New Animated Series: Officer Barr. The Wild Thornberrys: Frank Hunter.